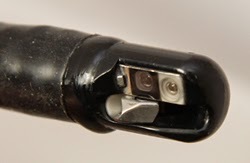 I was struck by the need for an FDA announcement to users of duodenoscopes—the endoscopes used in endoscopic retrograde cholangiopancreatographies, or ERCPs--that they should be extra careful about cleaning the scopes to avoid transmittal of drug resistant bugs. So I asked a friend who is a world expert in ERCPs. This MD said, "This is specific to ERCP scopes as an enclosed wire channel for the elevator makes access difficult despite following all manufacturer's recommendations. We have been aware of this and very proactive for a long time." The FDA advised that strict adherence to manufacturers' instructions would minimize the risk of infection. But according to Dr. Zachary Rubin, UCLA Medical's director of clinical epidemiology and infection prevention, his hospital's bacteria outbreak and several others involving duodenoscopes suggest the problem may lie with the recommendations from product makers. UCLA officials said their investigation found no deficiencies in the facility's internal cleaning processes for the devices and that the staff fully adhered to the manufacturer's recommendations on properly sterilizing them. “The fact that we've identified this infection in a couple of different hospitals now suggests that the routine process we were using was just not quite adequate even though at the time they were FDA approved,” Rubin said. After Jan. 28, the hospital began using more stringent sterilizing measures and has seen no subsequent cases of infection. Wow. The questions this raises go on and on. How can the device have been allowed on the market by the FDA without a thorough review of this issue? After all, it is well known that the scope is going to travel through the stomach and beyond each time it is used. Why wouldn't the agency insist that the manufacturer's recommendation about sterilization at the time the product entered the market be sufficient? If, as UCLA suggests, the the manufacturer's recommendation are not sufficient, why is the FDA not insisting on more rigorous approaches even now? 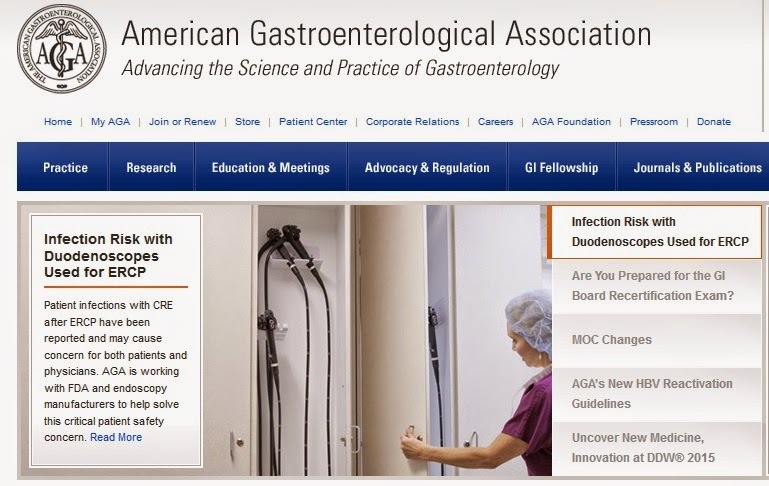 If some people in the field already recognized this problem, like my friend, why didn't the GI medical association promulgate the news to its members? It just published this johnny-come-lately article. This might be a good time to ask whether the AGA or its faculty receive funding from scope equipment manufacturers. Of course they do, as noted here. At what point should the FDA recognize a problem and send out an advisory? It notes, "In total, from January 2013 through December 2014, the FDA received 75 MDRs encompassing approximately 135 patients in the United States relating to possible microbial transmission from reprocessed duodenoscopes." What is the appropriate standard of review and action in such matters? The agency is continuing to evaluate information about documented and potential infections from multiple sources, including Medical Device Reports (MDRs) submitted to the FDA, the medical literature, the health care community, professional medical societies, and the Centers for Disease Control and Prevention (CDC). 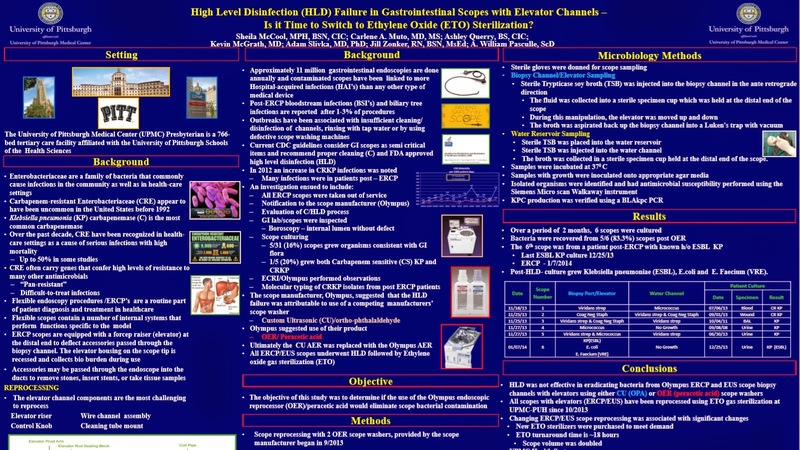 But here's a poster from the University of Pittsburgh suggesting that the usual level of disinfection was known to be inadequate. Amusingly, one manufacturer, Olympus, suggested that the failure to clean was from use of a competitor's scope washer. The investigators found, to the contrary, that this was not the cause, and that a higher level of disinfection than recommended by Olympus was necessary to avoid the transmittal of bacteria. So, people knew about this problem: MDs, the AGA, the FDA, the manufacturers. Everybody but you and me. If you go to Wikipedia, bacterial infection isn't even included as a common risk of the procedure. I wonder if the "informed consents" used by GI doctors have included this other risk. That University of Pittsburgh paper noted: "Post-ERCP bloodstream infections (BSI’s) and biliary tree infections are reported after 1-3% of procedures." I fear we have been let down by the profession, the equipment manufacturers, and their regulators. Given that the CDC has included CRE in the types of organisms hospitals 'should' urgently monitor, one begins to have other questions. For instance, there are regulations in other industries about dangerous practices or products, and companies can be prosecuted for violating them. Why are medical 'recommendations' still voluntary, given that this industry is the most dangerous of all to its consumers? Should there be a Consumer Product Safety Commission for medicine? Should hospitals who fail to institute monitoring or safe practices be prosecuted? It's time to start asking such questions. Our field has been given a pass on the presumption of professionalism for far too long. In the era of highly resistant microbial infections, many infection control protocols will need to be revisited. Scope acquired infection has always been a serious complication, but with appropriate antibiotics not a fatal one. Now the infecting organism may be resistant to all available antibiotics. The simple act of failing to wash hands between patients may now be a fatal error. We also need a different approach to error correction in healthcare. The military approach to bad outcomes is 1) Figure out what went wrong, 2) Fix the problem & 3) Don't do it again. In our overly litigated field of healthcare, all parties immediately adopt defensive positions, information is not shared and everyone tries to say it is someone else's failure. As a result, we deny the existence of problems, fail to correct the mistakes and keep repeating the errors. It's unfortunate the GI community didn't spread the word to members sooner since they were aware of the problem.